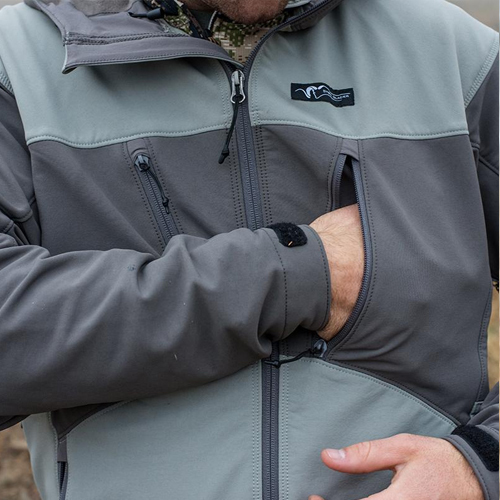 The De Havilland Jacket is a highly breathable softshell designed with the backcountry hunter in mind. 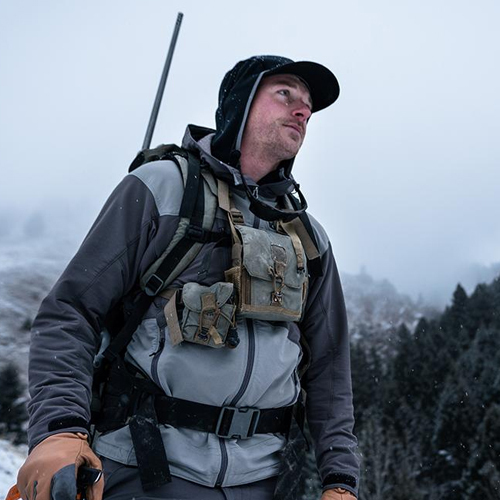 With a tight weave DWR face and lightly brushed fleece backer, we specifically sought out this textile for its performance under high exertion situations. It boasts an excellent balance of weather protection while maintaining a high level of breathability that is critical for backpacking. 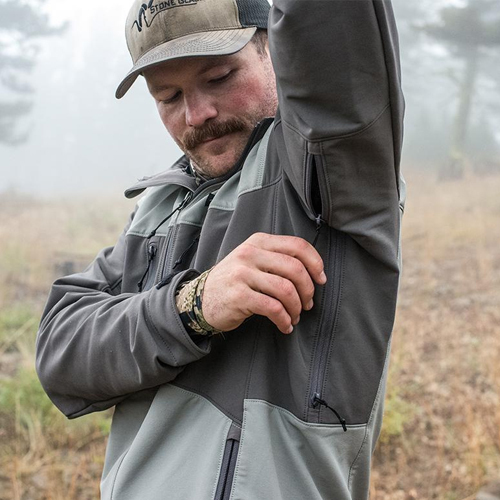 Articulated elbows and an athletic fit paired with strategically placed chest and hand pockets that are accessible while wearing a backpack make this jacket a no-brainer. 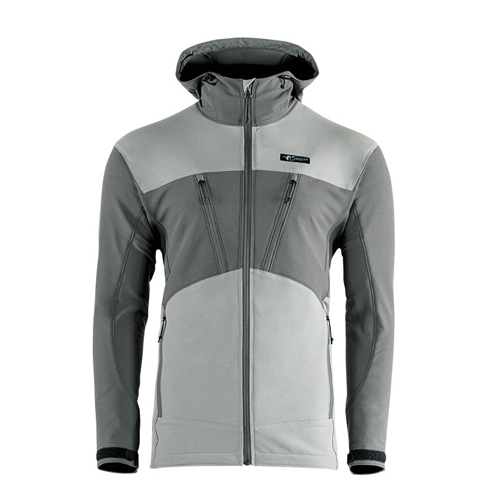 Add a slim fit hood and esthetically pleasing color blocking to break up body symmetry on the mountain and this jacket will quickly become your go-to for the backcountry and around town.